Hello and welcome to My Luxury Limousine! The best limo service in NWI! Our limo service is not only safe, but stylish as well. We can cater to all occasions; weddings, prom, airport, birthdays, sporting events, and everything in between! No matter the occasion, travel lavishly with our premier service. Here you will see 20 reasons that show why we believe we are the best limousine company that Northwest Indiana has to offer! 1. We offer luxurious vehicles. Every customer is sure to feel like an A-lister after arriving in any one of our fashionable limos or buses. 2. We only hire drivers of the finest character. Your chauffeur is sure to be punctual, polite, and go the extra mile to make sure you arrive safe and satisfied to your destination. 3. Book a rental around your schedule, not ours. We're all about doing what works best for you. There's not schedule we can't comply with. 4. Safety is our number one priority. Not only will you arrive on time, our drivers navigate in only the safest manner. We want you to be able to sit back, relax, and enjoy a stress free ride. 5. Our limos are affordable. We can work to make sure you are traveling in style under almost any budget. Our rates are always low and competitive. Save your hard earned cash and be able to have some extra to spend on your trip. 6. We value your business. You put the confidence in us, and we show our appreciation by giving you nothing but the greatest limousine experience. It is this type of attitude that leads to our loyal customer base. 7. We offer friendly customer service. Here at My Luxury Limousine, we strongly believe in treating our clients the way we would like to be treated. From top to bottom, our staff is polite and wants nothing more than to give you a great experience. 8. We know how to have fun! Don't let a rude or boring limousine service ruin your exciting evening! Our drivers are all for showing your group a good time! 9. We offer a wide range of services. From birthday parties to airport shuttles, My Luxury Limousine offers transportation for any event you can dream up. 10. Our fleet is loaded with a variety of different vehicles. Whether you need your ride to be big, small, simple, our exotic, our fleet has got you covered! Northwest Indiana's My Luxury Limousine offers Lincoln Town Cars, coach buses, and more! 11. We love a challenge! We like to say that there is not a job we cannot handle. No matter how crazy your requests may be, we are always willing to work something out. 12. Serving you is our pleasure. Never feel as if you are a burden to us, our employees are excited and ready to give you the best limousine experience to date. 13. Our returning customer rate is high! Due to the friendliness and dedication of our employees, we have many satisfied customers that refuse to go anywhere else for their transportation needs! 14. Our drivers are some real night owls! You don't want the fun to end early, and with our limousine services it won't have to! 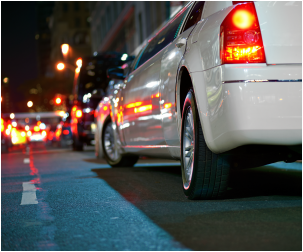 Our drivers stay up late into the night with you and your group and will guarantee you have a safe ride to your destination. 15. Our vehicles are cleaned after every use. Never step into a vehicle that is a smelly mess. This ride is supposed to be lavish and relaxing, and we guarantee it will be. 16. We are an honest company and we stick to our word. The price you are told is the price you will get. We never toss in any hidden fees or try to foolishly nickel and dime you. 17. We accept all types of payment. Cash, check, or card, we are not picky when it comes to money! Enjoy the freedom of paying in whichever way works best for you. 18. We are a local company. We take great pride in serving the area that we know and love. Nobody appreciates the region of NWI more than us! 19. We are always trying to better ourselves. We take into consideration the reviews of our customers and are always finding ways to better serve you! 20. We are not satisfied until you are! After all, it is our wonderful customers that keep our business thriving, and the best way we can repay you is by always giving out the best limo services around! Sure, talk is cheap, but we would love to back it up! Call us at 219-898-4272, and let us prove to you that we can come through on our promises! Our limo and town car services reach out to all of Northwest Indiana, Southwest Michigan, Chicago, and the greater surrounding areas! This includes, but is not limited to: Merrillville, Schererville, Crown Point, Hammond, Munster, Lowell, Cedar Lake, Dyer, Demotte, Rensselaer, Highland, Griffith, Boone Grove, Hebron, Valparaiso, and more! Looking for an affordable limo service in Chicago? You've come to the right place! That's right, our limousine services cross state lines to go from Northwest Indiana to the great city of Chicago and the surrounding suburbs. Explore all the great things that the Windy City has to offer while being chauffeured around in the luxurious ride of your choice! Our fleet includes town cars, sedans, stretch limos, party buses and more! For the most affordable limo company in Chicago, call us today! Come to us for your airport shuttle! We understand that this type of transportation is crucial for our area with all the major surrounding airports going out of Chicago. Our services includes limos to Chicago Midway Airport, transportation to O'Hare Airport, South Bend International, Gary Airport, and more! Call us right away to get to your airport safe and on time! My Luxury Limos has a fleet of coach buses! For bigger parties that would like a little extra room, a bus may be the right choice for you. Call us today and book a luxurious coach bus to transport you and your friends wherever requested. We also offer professional chauffeur services. This type of ride is classy, stylish, and convenient! Forget stressing about driving through traffic. Kick back, relax, and let our friendly chauffeurs get you to your destination. Take a look at our service pages and find out about all that we can offer. These pages include weddings, quiceaneras, sporting events, proms, birthdays, concerts, airport shuttles, and more! We truly are your one stop shop when it comes to luxurious transportation! Ask us about any deals and specials! We are always finding new and exciting ways to help you keep that hard earned money in your pocket. Take advantage of our fully stocked refrigerators that are loaded with your favorite beverages. Champagne and other premier liquors, water, and soda pop for the kids! Here at My Luxury Limousine, we put our clients first. A business can only be successful when it is trusted with happy and loyal customers. That is why we vouch to do everything in our power to make your limousine experience with us the best you've ever had. Getting a ride in a limousine is supposed to be a grand and luxurious experience. Anytime there is a negative association with a limo ride, the purpose is ultimately defeated. My Luxury Limousine of NWI works hard to guarantee your time with us is as relaxing, plush, and exciting as it should be! Ready to roll with us? Give us a phone call today! Still shopping around for your luxurious ride? No problem! Fill out our quick and easy form to get your free quote!